Not the syrupy sweet glazed carrots you might've had before. These have a hint of chile complemented by the natural sweetness of the carrots and agave. 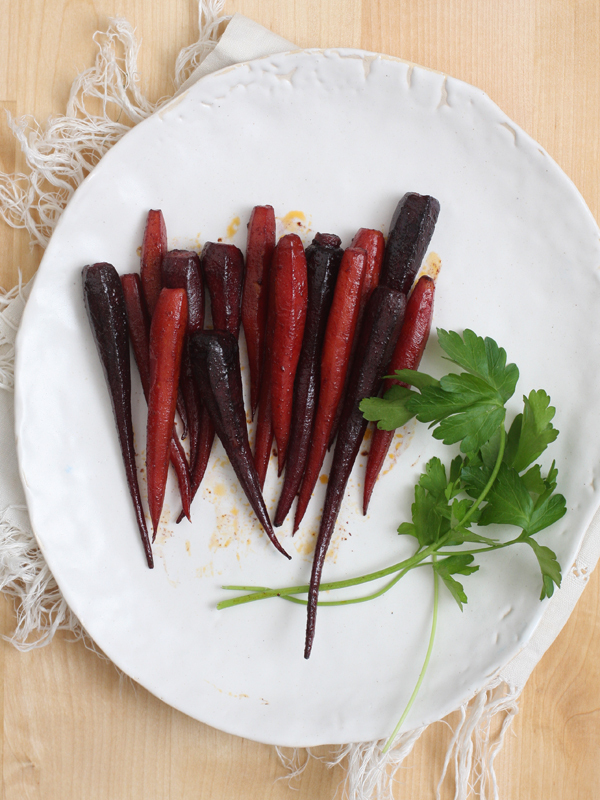 Choose carrots of different hues like purple, orange and white for a colorful plate. In a small bowl combine water, siracha, vinegar and agave. Set aside. Heat butter in skillet to melt it. Add carrots. Cook 1 minute. Add liquid. Increase heat to high and boil away liquid. It will take about 10 minutes. Serve with a sprinkling of fresh parsley.